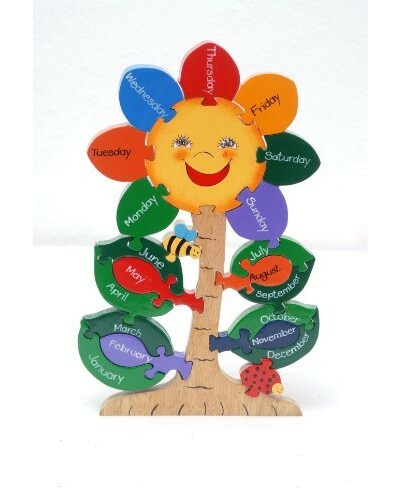 The beautifully designed Flower Wooden Jigsaw is a great educational toy which teaches children the days of the week and months of the year in a fun way as well as sequence, hand to eye coordination and fine-motor skills. 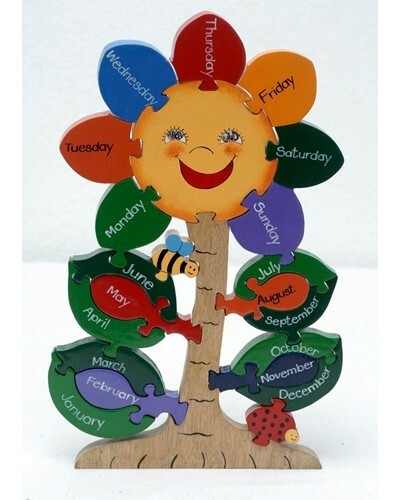 The puzzles can be used as teaching tools in early childhood development. 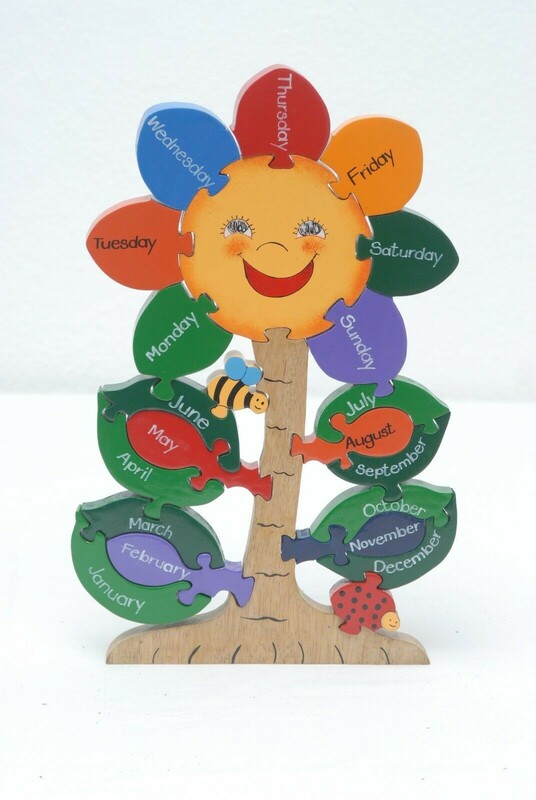 Each wooden jigsaw piece is painted in bright colours and made from sustainable rubber wood. A quality gift for any child which will last for many years and can be handed down to younger siblings. 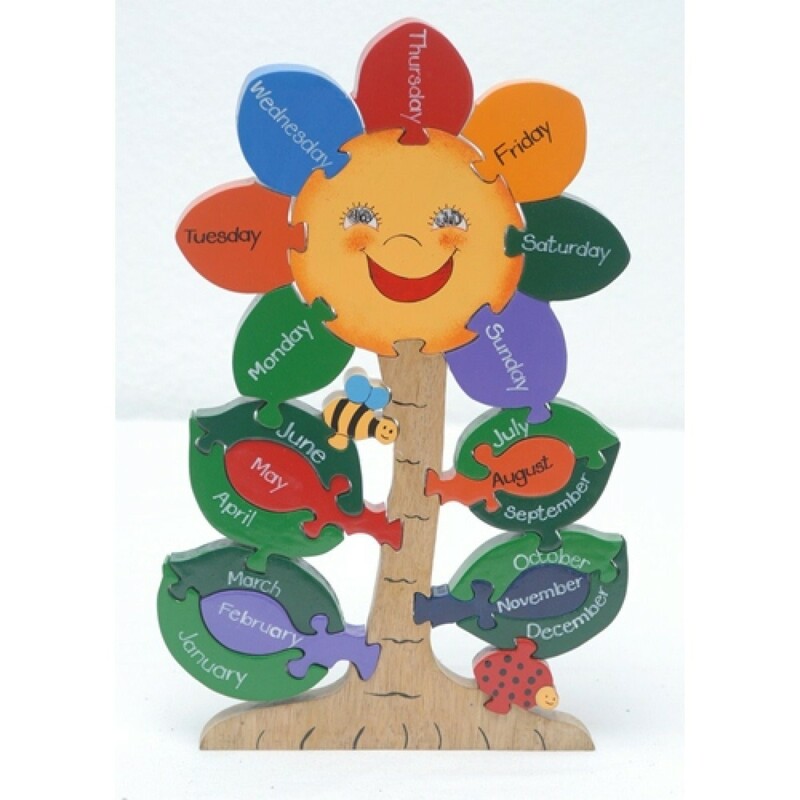 WOOD like to PLAY products are 100% handmade in a non-factory environment in Sri Lanka. 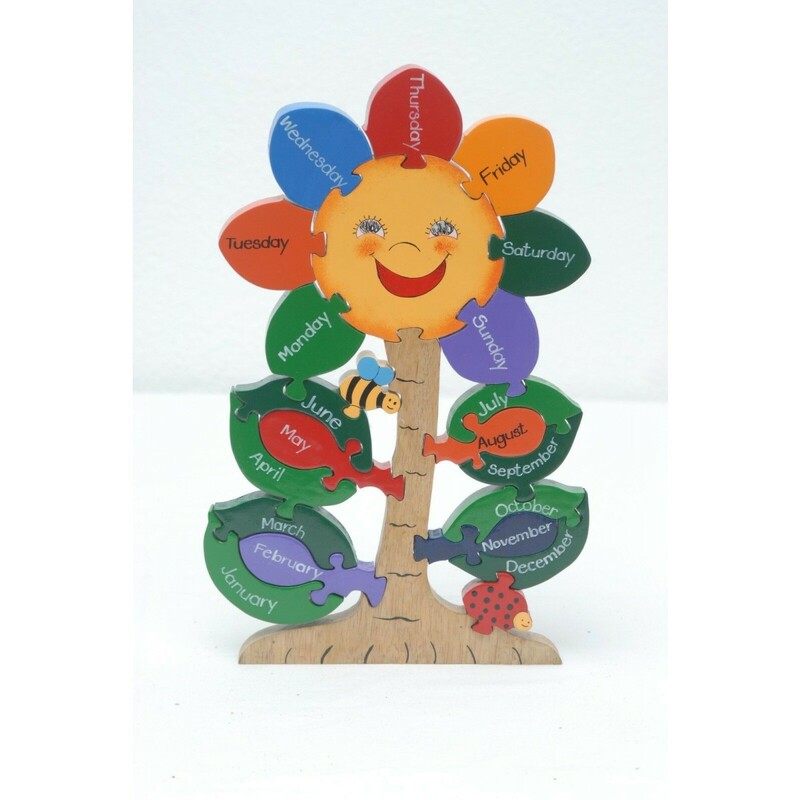 They have adopted a strict ethical policy and demonstrate this in both materials used (rubberwood) and production methods. Their products comply with the relevant European safety standard and are CE labelled. 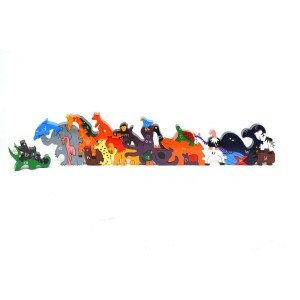 All paints and primers used are non-toxic.